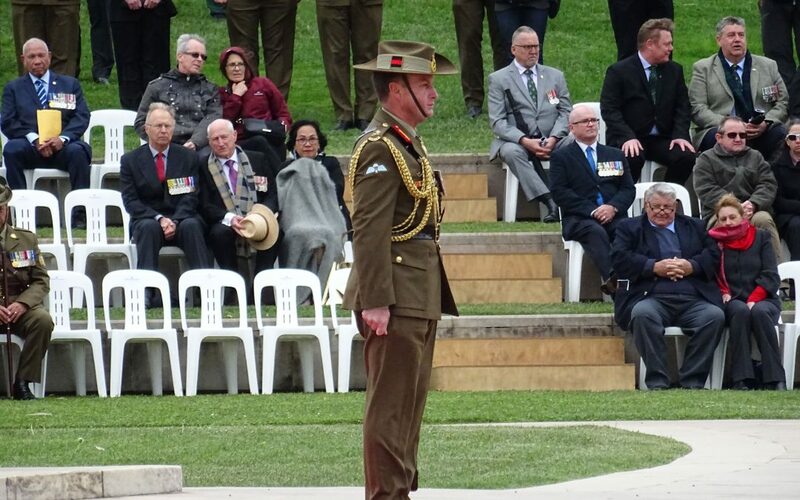 As we draw to a conclusion this significant period of commemoration in Australia to mark the Centenary of the First World War with services to mark the 100th Anniversary of the Armistice held earlier this month on 11th November, we take time today to celebrate a significant milestone in the history of the Royal Australian Regiment. 2018 has been a significant year for our Regiment. In July we commemorated the 65th Anniversary of the Battle of the Samichon and the Korean War Armistice, a war where the foundation Battalions of our fledgling Regiment set the standard for future generations to follow. In May we commemorated the 50th Anniversary of the Battles of Fire Support Base Coral and Balmoral from the Vietnam War, including the award of the Unit Citation for Gallantry to the 1st Battalion and the 3rd Battalion of the Royal Australian Regiment and the other Australian units involved in these battles. Our Regiment expanded to nine Battalions during the Vietnam War to meet the demand and our Battalions were commanded by veterans of Korea as were the RSMs and many of the Senior NCOs, and our soldiers excelled in the difficult terrain and conditions and conducted much of the heavy lifting during Australia’s involvement in that war. We also commemorated in May this year the 25th Anniversary of the 1RAR Battalion Group’s deployment to Somalia, one of the first of our more contemporary operational deployments. May I take this opportunity to wish all those who have served or are serving in the Royal Australian Regiment and their families a happy 70th Birthday! Duty First!